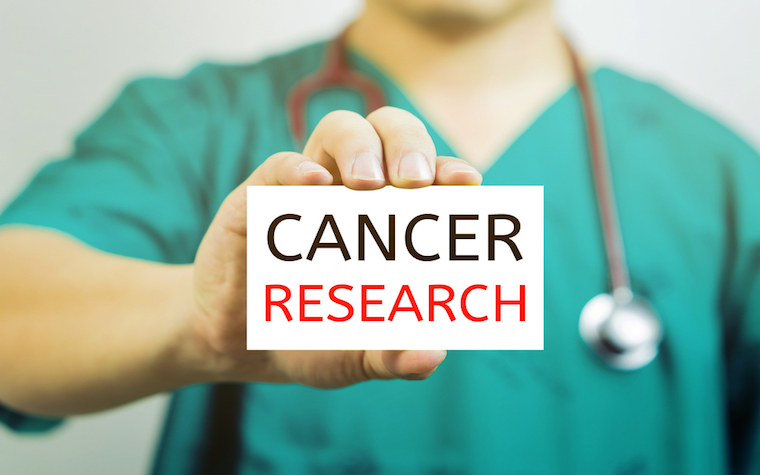 The major NCI-funded cooperative clinical trials groups all include radiation oncology. Unfortunately, this exclusion carries over into the entire National Cancer Institute budget. 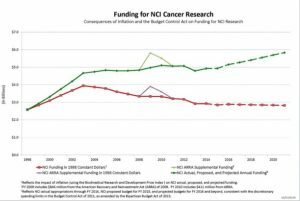 Despite radiation treatment being needed by half of cancer patients at some point, only 2.2% of NCI funding goes toward radiation research funding. 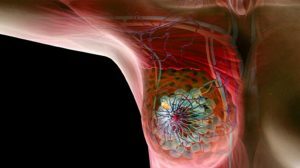 Cancer Moonshot is just a temporary boost to funding. We need something more sustainable and fund projects more representative of all established treatments, not just drugs. Typically, NCI-funded clinical trials groups don’t have pharmaceutical companies in leadership positions. 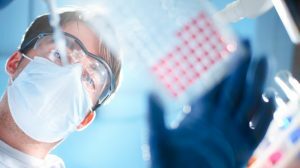 Not only are two companies included, but four specialties usually considered key to clinical trials design aren’t even on the panel. I couldn’t collect information on non-clinical members, but you can see what the panelists received in payments from industry August 2013 – December 2014. All of the panelists are eminently qualified based upon their expertise. But the blue ribbon panel provided no transparency on how industry might influence what drug-related projects gets funded. I would have thought Dr. Berger would advocate for a radiation oncologist – he commented how important surgery and radiation are for brain tumors when he spoke at ASTRO’s annual meeting in San Francisco in 2014. Instead of including radiation oncology, another neurosurgeon is on the panel with expertise in… high intensity focused ultrasound (HIFU)? 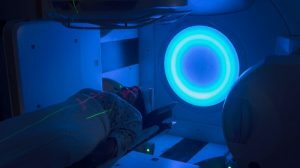 If HIFU is represented as a local therapy, why not radiation treatment? 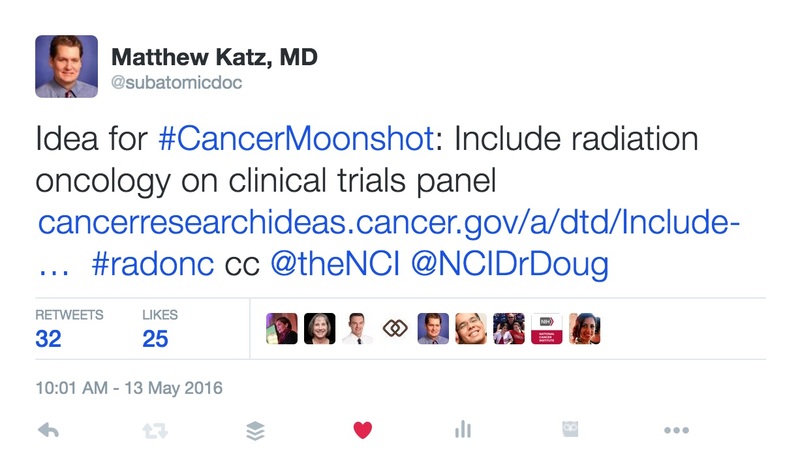 A key stated goal of the Moonshot initiative is “immunotherapy and combination therapies”. When asked about the great response former President Jimmy Carter had to immunotherapy, panelist Dr. Jedd Wolchok said, “with a tool like radiation therapy, you release cell debris that can trigger an immune response – similar to a vaccination.” For President Carter’s brain metastases, “stereotactic radiosurgery [helped] get him off the steroids”, which may limit the effectiveness of any immunotherapy. Without a radiation oncologist involved, will proposals for patients with brain metastases receive short shrift because no one understands whether the radiation component is done correctly? I suppose that means all ‘combination therapies’ this panel can pick will be drugs with drugs. I remain hopeful that the Moonshot panel will correct course. It did add Dr. Daphne Haas-Kogan to the pediatrics panel. But like general NCI funding, radiation oncology’s presence is currently marginalized. 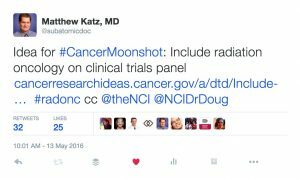 If you agree, please share my proposal to include radiation oncology with the NCI.